If you are in the business of doing Reference Imaging you want that process to be as automated as possible, but now and then you need to verify that different part of the task sequence works, lets say that you need to verify that an application you added to that task sequence get installed correctly, at time you don’t really like to run trough the entire Windows update process. Easy fix, you open the Task Sequence and disable it, but what if you could do some thing like this instead…A quick Note before you begin: This is not supported, since includes a modification a ZTIConfig.vbs and credit goes to Keith Garner for the explaining how to do that modification. Thanks! I have done demos on this topic for some time now and I have promised to post this, so for all of you attending MMS in MN, TechDays and other various events, here you have it. If that is what you want, here it is. 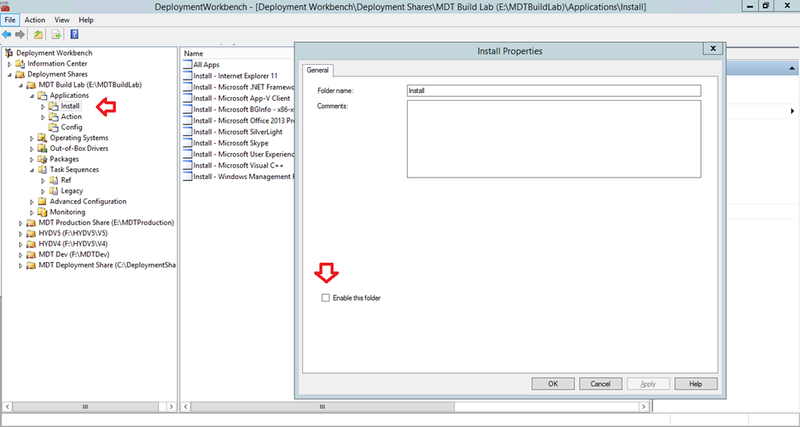 The Suspend Step is a function that is built-in to MDT, but you need to add it. After you have done that the task sequence will suspend at that step and you can perform manual tasks, or test and verify that things works as expected. When you are done, just hit the “Resume Task Sequence” icon that will be on the desktop. 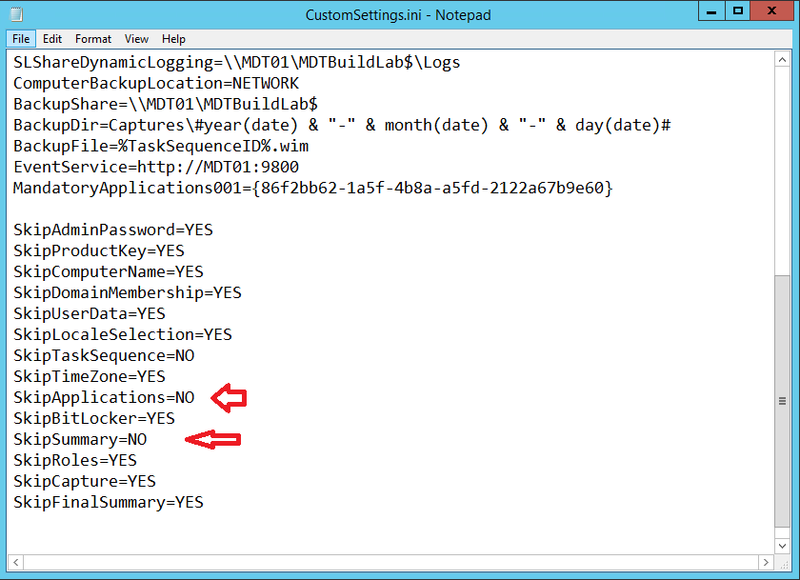 Extremely useful, but instead of enable/disable by modifying the task sequence, it is nice to have that as checkbox. The Suspend Step has been added. Adding Conditions to the Steps. 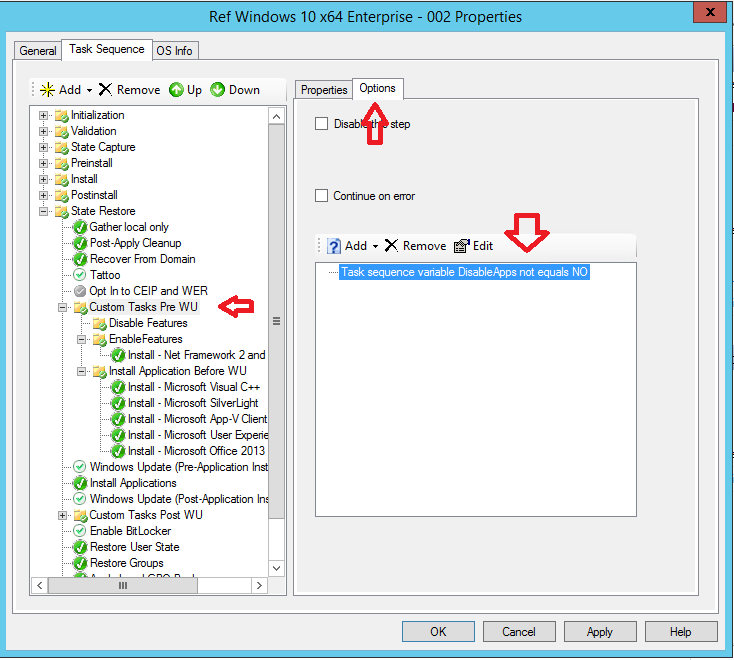 We need a couple of Properties that we can use, let us use SuspendTS, DisableApps and DisableWSUS, add the following settings to the following steps in the Task Sequence. 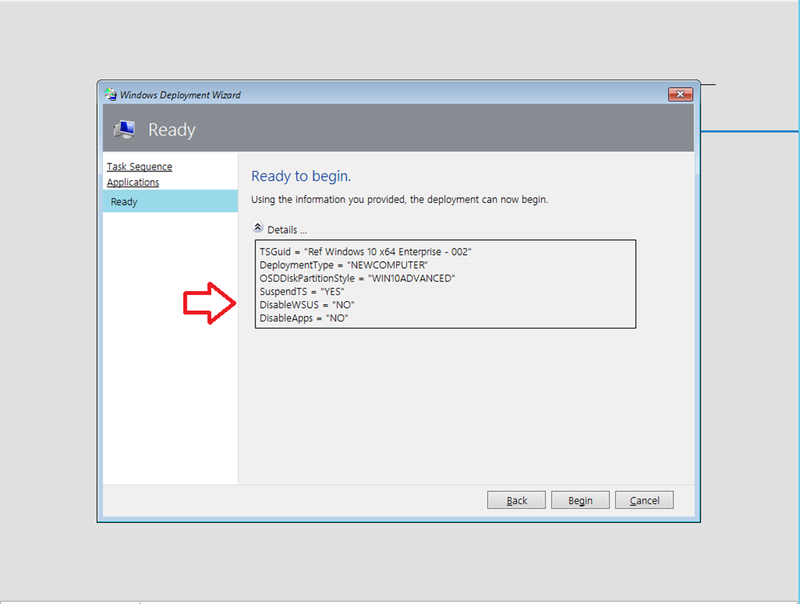 For the Windows update steps, add the following Task Sequence Variable. One of the Windows Update Step has the condition set, don’t forget to set them both. For the Application install group steps, add the following Task Sequence Variable. The group that install all the Applications has the correct condition set. 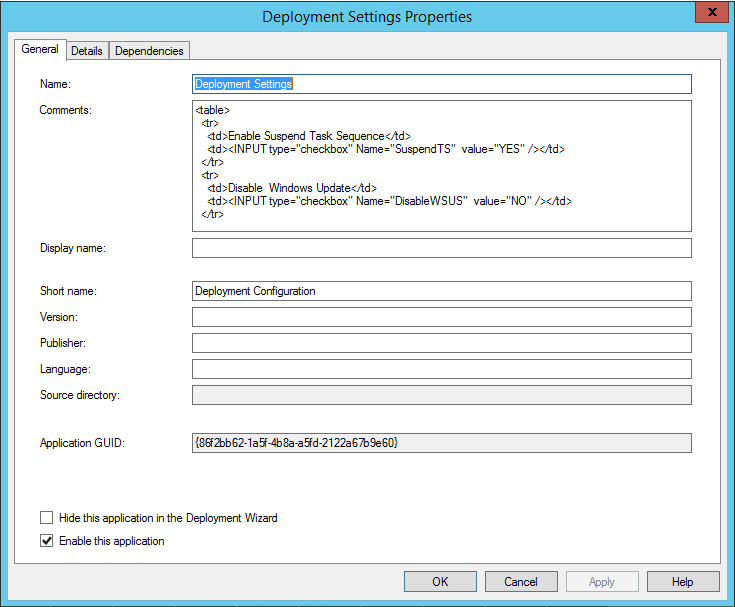 For the Suspend Task Sequence step, add the following Task Sequence Variable. The Suspend Step Condition changed according to the list above. We need a application bundle, the application bundle will actually not install anything at all, instead it is going to be the place holder for the HTML code. I recommend that you have all the “applications” you don’t want to see in a set of folders and this application in an other folder, or directly in the root, because this application should be seen, so you can “fill out the form”. 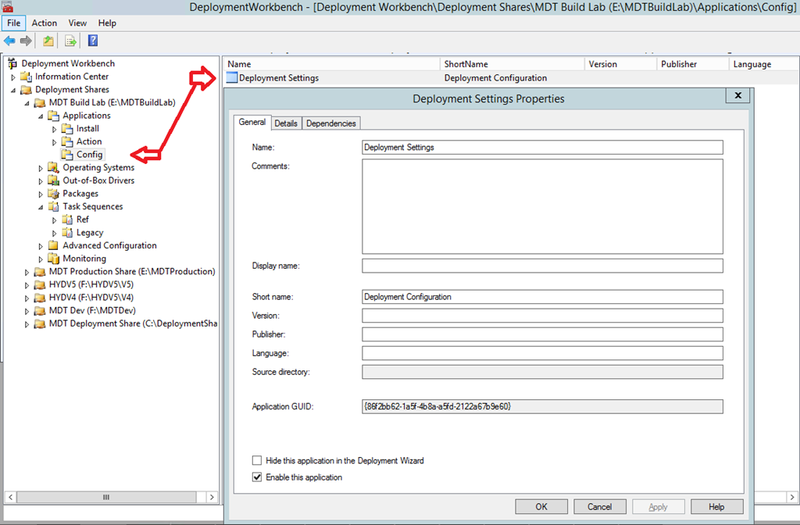 The application Bundle has been created in the Config Folder. HTML has been added to the Comments filed. Time for the unsupported part, the change you are about to do will stop the Wizard from parsing the comments field as text. The setting SkipSummery can later be set to YES, the setting I suggest is just so that you can see that Variables are set correctly with the need to run trough the entire deployment when testing this. When running the wizard, I don’t need to see all the applications, since the have been added to my task sequence. So you can either open each and every application and enable the “Hide this Application” checkbox, or you can (if you have all the applications in folders, just disable the folder. 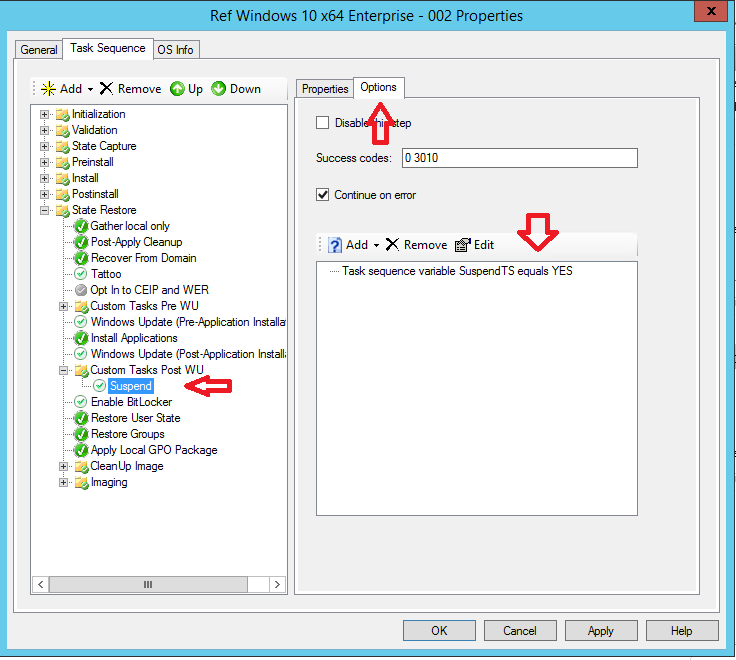 Boot the VM, select your Task Sequence and enable/disable the item. All item have been Selected. All values have been set correctly. Question: Why don’t you add a Wizard Page instead? Question: Do you have any other example on how to use this? Question: If I don’t need to wizard thing anymore, how to I disable it? 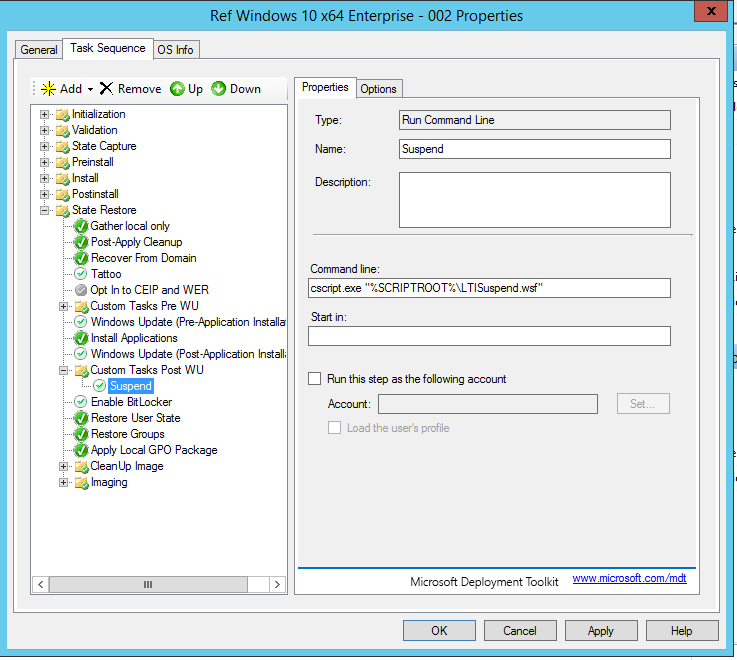 OS Deployment – What’s inside my WIM? 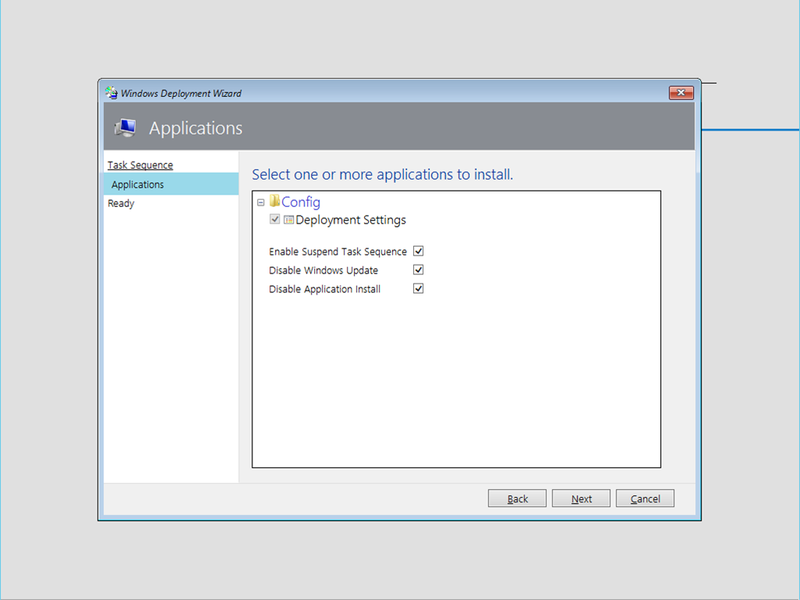 Is it possible to make a selection box for driver installed ? So you have a choice that you want to install drivers or do not want to install. I like to hear if that is possible. you might achieve it for me? On a server installation , I want a password can be created for the built-in administrator account. it is possible and how? Unfortunately had no answer .